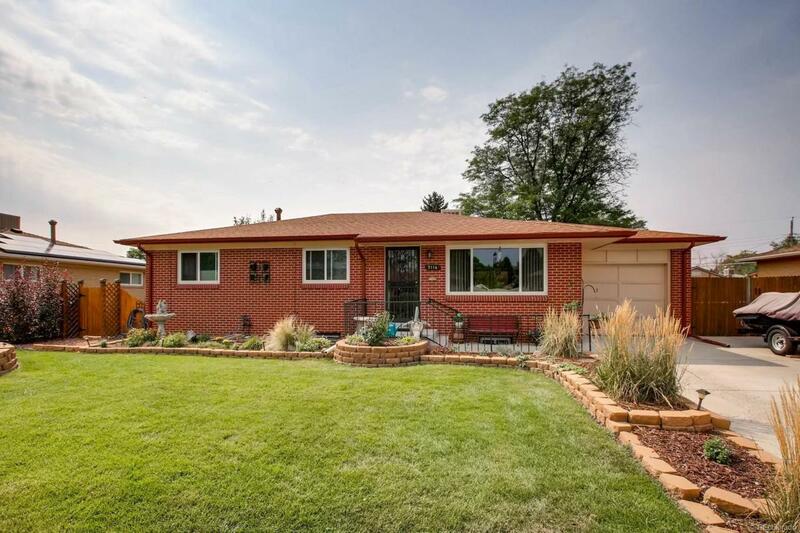 Come see this wonderful and immaculately maintained 4 bed/2 bath ranch home with finished basement in the cozy Centennial Acres community! The main level features a spacious living room filled with natural light, a formal dining space, and large kitchen with generous cabinet and counter space! The master bedroom includes its own private bathroom, while a second full bathroom on the main level makes this an ideal layout. The finished basement with wet bar is perfect for entertaining, while the park-like backyard sets a beautiful backdrop for those warm Colorado evenings! Stove/oven is gas, however, electricity is available. In addition, the dryer downstairs can be powered by gas or electricity. Buyer to verify measurements and all claims.